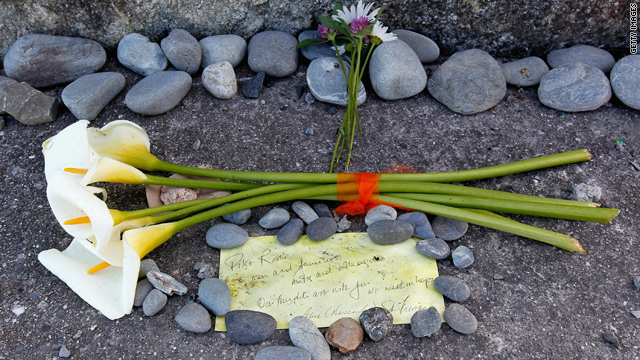 Flowers and a note lay at the foot of the Strongman Mine Memorial on Monday in Greymouth, New Zealand. 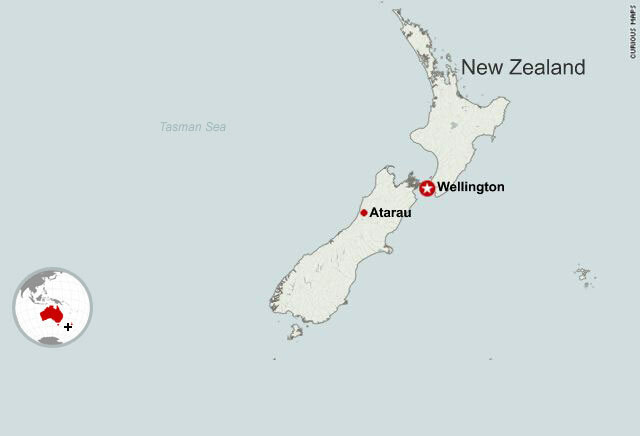 (CNN) -- All 29 miners trapped underground in a New Zealand mine are dead, the official in charge of a the rescue attempt said Wednesday. Gary Knowles, superintendent of Tasman Police Command, announced the deaths to the families. During the rescue attempt, air released from drilling into the mine contained high levels of carbon monoxide and methane but little oxygen, according to police officials. Authorities said the two camera-bearing military robots sent into the mine had found a worker's helmet with its light still on, but no sign of life. The helmet, police said, was dropped by one of the two miners who escaped the original explosion. One of the robots had broken down earlier Tuesday but was back online, said Peter Whittall, CEO of Pike River Coal, which owns the mine. Whittall said a third robot was on its way to the site. One the units reached a "fresh air base" and found nobody there, he said. The 29 men, ages 17 to 62, had been missing since Friday, when an explosion ripped through the Greymouth mine. Most of the miners are from New Zealand, but the group also includes Scotlanders and South Africans. The missing men are believed to have been spread throughout the mine, with perhaps half trapped in one area. Whittall and Knowles reiterated that potentially explosive gases in the collapsed mine have rendered a rescue attempt unsafe so far. "It's just too dangerous. You can't put the lives of the guys going underground at risk," Whittall said. Late Tuesday, officials showed family members and reporters a closed-circuit television video of the mine's entrance during Friday's blast. The minute-long video shows dust flying and a white screen flapping back and forth before it is blown out of the tunnel. The video "showed that the blast was quite large and went on for a long time," Whittall said. He said that the "sobering" video showed a site at least 2.5 kilometers (1.6 miles) away from the blast. Officials decided to play it for family members and reporters to illustrate "how dangerous it would be to re-enter the mine," he said.